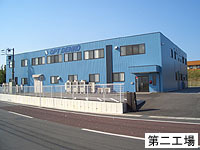 Opt Denko, Inc.|NAGOYA DENK CO.,LTD. The Bank of Tokyo-Mitsubishi UFJ Ltd .
Wire machining (wire harnesses), assembly of various sensors, assembly of automobile related parts, screening inspection of various parts, etc.